Microsoft has made hardware more of a priority in recent years, what with the Surface Pro line of tablets and Surface Book laptop. But these devices might be just the beginning of Redmond’s PC push. If a couple new reports are any indication, the company is also about to jump into the desktop PC game. Windows Central reported Friday that the company is hard at work on the Surface AIO, an all-in-one desktop PC that could soon join Microsoft’s existing Surface product lineup. Although specs are still mostly unknown, both DigiTimes and Windows Central suggest that the exact timing—and the release of the next-gen Surface Book—may depend on when Intel’s upcoming Kaby Lake 14-nanometer processors are ready. We also don’t know what a Surface AIO would look like, but Thurrott’s Brad Sams points to a patent application that Microsoft filed last year showing conceptual drawings for an all-in-one PC. 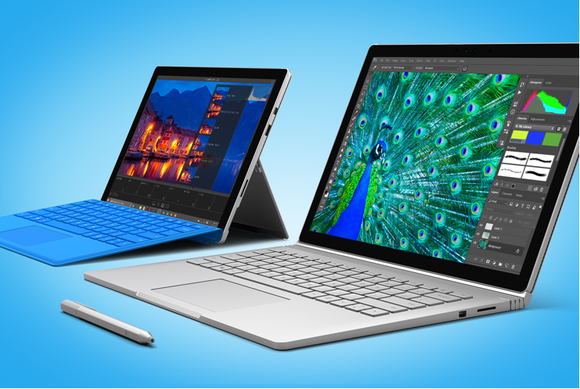 The Surface Pro 4 and Surface Book may soon have company. The story behind the story: Microsoft’s expansion into PC hardware comes at a time when PC sales have taken a nosedive in recent years. Worldwide PC sales slumped nearly 12 percent in the first quarter of 2016, compared to the same time last year. Gartner’s report at the time stated that “There was no particular motivation for U.S. consumers to purchase PCs in the first quarter of 2016,” some harsh words for the industry as a whole. A new way forward for the PC? Microsoft by itself may not be able to get the PC back on track, but it could help provide the PC industry with a new direction to follow—a little like how the Surface Book put a new spin on the laptop. And as Windows Central’s Rubino points out, Microsoft is uniquely positioned to bring something new to the table (or desktop, as it were): As Rubino speculates, a Surface AIO could end up being an updated, consumer-level version of the PixelSense, the company’s attempt at a touch-centric tabletop computing device. 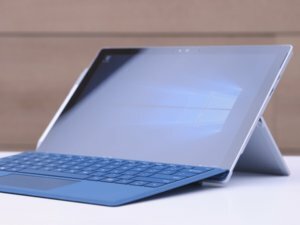 If so, Microsoft may be able to take the touchscreen all-in-one from the somewhat awkward-to-use device that it is now into something that is truly unique, useful, and easy to use. Here’s hoping.